The Queen’s sixty year reign over the throne is finally here, so let the celebration begin! 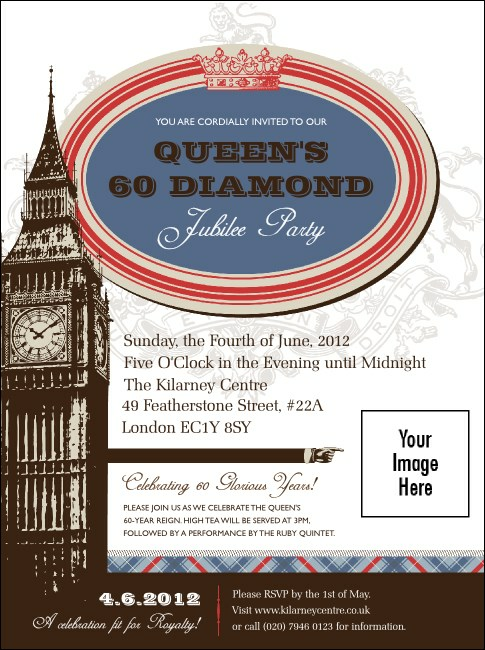 No matter how you decide to commemorate this extravagant event, take care of the advertising with Queen’s Diamond Jubilee Flyers. Each Flyer is colourful and includes delightful images like Big Ben and the Royal Seal in the background. At UK Ticket Printing, advertising never felt so easy.